LOCATION.--Lat 40°08'14", long 74°36'00" referenced to North American Datum of 1983, Hamilton Township, Mercer County, NJ, Hydrologic Unit 02040201, on right bank upstream from bridge on Extonville Road, 0.5 mi south of Extonville, 0.5 mi upstream from Pleasant Run, and 0.7 mi downstream from Mercer-Monmouth County line. PERIOD OF RECORD.--Continuous-record discharge station, August 1940 to October 1951, October 1952 to current year. REVISED RECORDS.--WDR NJ-79-2: 1971(M). WDR NJ-82-2: Drainage area. GAGE.--Water-stage recorder with telemetry, crest-stage gage, and concrete control. Datum of gage is 24.94 ft above NGVD of 1929. REMARKS.--Records fair, except for estimated discharges, which are poor. Flow regulated occasionally by lakes above station. 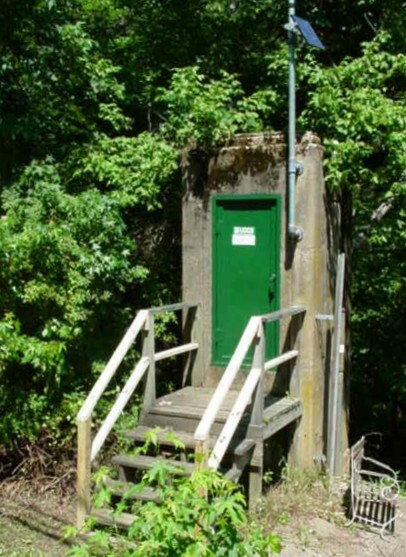 EXTREMES FOR PERIOD OF RECORD.--Maximum discharge, 5,940 ft3/s, Aug 28, 2011, gage height, 17.10 ft, from high-water mark in gage house; minimum discharge, 5.8 ft3/s, Aug 22, 2002. EXTREMES OUTSIDE PERIOD OF RECORD.--Flood of Sep 22, 1938 reached a stage of 13.0 ft (from information from local residents), discharge, 4,100 ft3/s. National Weather Service flood stage for this gage is 12 ft.